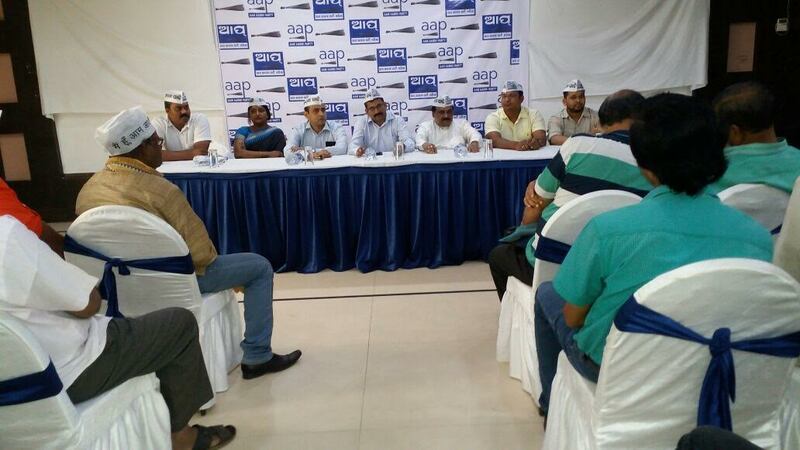 Aam Aadmi Party (AAP) in Odisha has been active since the last 3 years. After substantial ground work we have been able to build up the party structure in various districts. To consolidate its organization building activities and to mobilize the cadres the party is going to organize its first State Level Convention on 25th September 2016 at Jawaharlal Nehru Indoor Stadium, Cuttack. The meeting will be addressed by Ashutosh (Political Affairs Committee & National Executive Member), Sanjay Singh (Political Affairs Committee & National Executive Member), Kapil Mishra (Cabinet Minister – Delhi Govt.) & Shri Khemchand Jagirdar (Odisha Prabhari) along with the State leaders. Thousands of Volunteers will attend the meeting from every corner of the State. The party will be announcing its strategy against the misrule of Naveen Patnaik led BJD and will be finalizing its stand on various issues faced by the people. There will be a huge Road show from Airport, Bhubaneswar to Jawaharlal Nehru Indoor Stadium, Cuttack. The Rally will start at 9:00 am from Bhubaneswar and will reach the venue at Cuttack by 12:30 pm. The Press Meet was addressed by Shri Nishikanta Mohapatra (State Convener) & Shri Shyamananda Mohapatra (State Treasurer, Zonal Coordinator & Cuttack Incharge) and attended by Shri Nandlal Singh (State Secretary), Bharadwaj Mishra (Zonal Coordinator), Payal Agarwal (President, AAP Women’s Wing) , Subrat Chhatoi (President, AAP Youth Wing) Sushant Pradhan (President, Chhatra Yuva Sangharsha Samiti).